It took penalties to knock the hosts out while Sweden were no match for England on the day. With only a week left until the conclusion of the 2018 FIFA World Cup, the two other sem-finalists were determined today as England saw off Sweden in the early game and Croatia relied on penalties to overcome the hosts Russia. Croatia and Russia had no go through the dreaded penalty shoot-outs once again to decide who would face England in the semi-final after an intriguing quarter-final between the two sides. After some early forays into the Russian half, Croatia received a sucker-punch as Russia broke and took the lead in the 31st minute. Artem Dzyuba held up the ball well before finding Denis Cheryshev who finished with an audacious curling effort into the top corner that goalkeeper Danijel Subašić had no chance of saving. 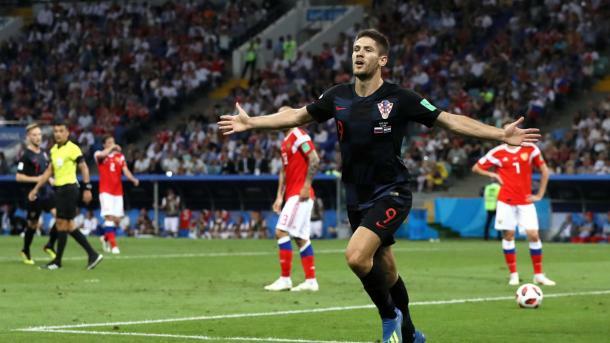 It didn't take long for the Croatians to come back as eight minutes later, Andrej Kramarić brought the teams level again when he met Mario Mandžukić​'s cross inside the six yard box with a deft header. The rest of the match played out in a fashion that saw Croatia dominate possession and create a few openings but ultimately fail to finish off their moves. As extra time loomed, and having made three substitutes already, Subašić suffered what appeared to be a hamstring injury. The Croatian goalkeeper continued on in the game but he was clearly struggling and after the fourth substitute had to be made to replace the injured Šime Vrsaljko, Croatia had no choice but continue on with their injured goalkeeper. There seemed to be no need for penalties as Domagoj Vida found the back of the net with a powerful header in the 101st minute that put Croatia ahead in extra time but Russia came back again in the 115th minute with their own set piece goal as Mário Fernandes lost his marker to finish from close range. After Fyodor Smolov, Mateo Kovačić and Fernandes had their penalties saved, it came down to Ivan Rakitić to score the penalty that would send Croatia through. Rakitić sent Igor Akinfeev the wrong way and booked Croatia's place into the semi-final. It was a tough match for both teams but in the end, Croatia triumphed through penalties, just as they had against Denmark in the previous round. 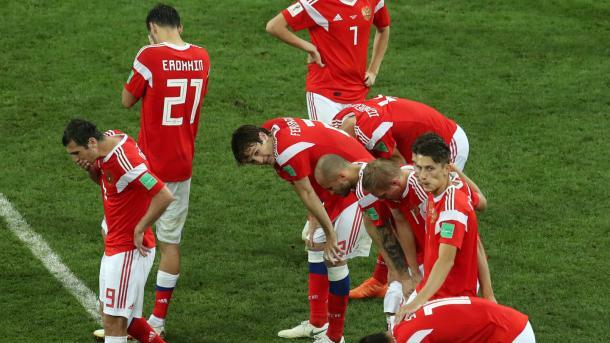 Russia had managed to send Spain out in their previous match through penalties as well but this time, the odds were not in their favor and they have now exited the tournament. England needed to see off Sweden to advance to the semi-finals and after removing the "voodoo" of penalties knocking them out in major tournaments in their previous match against Colombia, most were quietly confident of England's chances. The young team lead by Gareth Southgate managed to put on a mature performance to win 2-0 over Sweden and set a date for themselves in the next round. 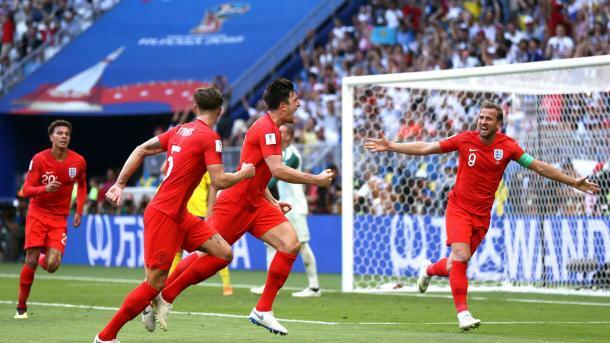 A quiet first half by both teams came alive in the 30th minute when Harry Maguire rose highest during a corner kick to give England the lead. The English had proven to be very strong at set pieces with a majority of their goals coming from set plays and Maguire got the goal his previous play had deserved today. 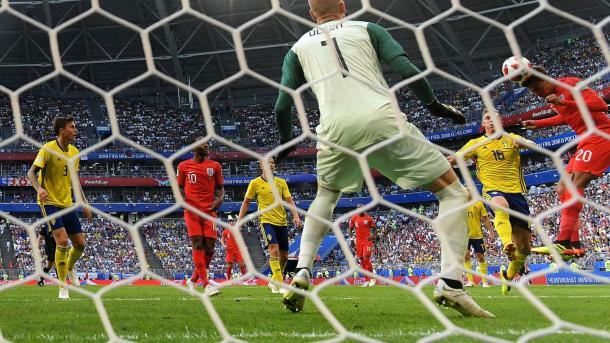 In the second half, Jordan Pickford produced a number of terrific saves to keep England in front as Sweden came forward, most notably his save against Marcus Berg right after the second half had started. Had Raheem Sterling had better play in the final third, England would have seen off Sweden much earlier but they got the second goal their play had deserved in the 59th minute. Jesse Lingard picked out Dele Alli at the back post with a lovely chip from just outside the box and the Tottenham Hotspurs F.C. midfielder duly obliged with strong header. The win was no more than England deserved as they kept Sweden at bay for most of the match and many of their fans will be pleased with how mature a performance this young team had put together. Sweden will look back at this game as one of mistaken tactics as they had the beating of England in the air but hardly put in any crosses into the box until it was too late. England will now play Croatia in their first semi-final since 1990.